Editor-in-Chief Oscar Merida records a mini-episode. In this first one, he looks at some RFCs submitted for PHP 7.4 and 8.0, and a new tool for detecting memory leaks with PHP Unit. PHP is reclaiming its rightful place as the go-to language for web application development. For those of us maintaining and developing applications using legacy frameworks, the grass certainly looks greener on Laravel’s side. In this article, I show how to do an in-place migration from a legacy framework to Laravel. LIsten to this episode covering diversity in tech with Jill Binder and Lukas Kawhe Smith, upgrading to PHP 7.3, finding dead code, scaling your web applications, and more. A little over a year ago my team lead looked at my first few months as a Developer Evangelist and decided that since I was already doing work for and with underrepresented developers, we should try making that one of the communities I officially serve. Eric Van Johnson, John Congdon, Jennifer Wadella, and Oscar Merida are featured in the first episode of 2019. 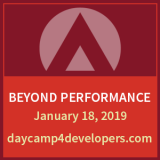 Topics include remote working, AWS S3 integrations, Jenkins, DevOps, and more. We’ve posted the schedule for php[tek] 2019 over at tek.phparch.com. We’ll be returning to Atlanta, Georgia for a third year this May. Read on to see the new tracks format, planned sessions, and meet our speakers. The tech industry is always awash with new ideas that are actually old. One which gained traction in the last ten years is the idea of “DevOps.” This term is the combination of “Development” and “Operations” and is meant to show these two roles can be combined for more efficiency.